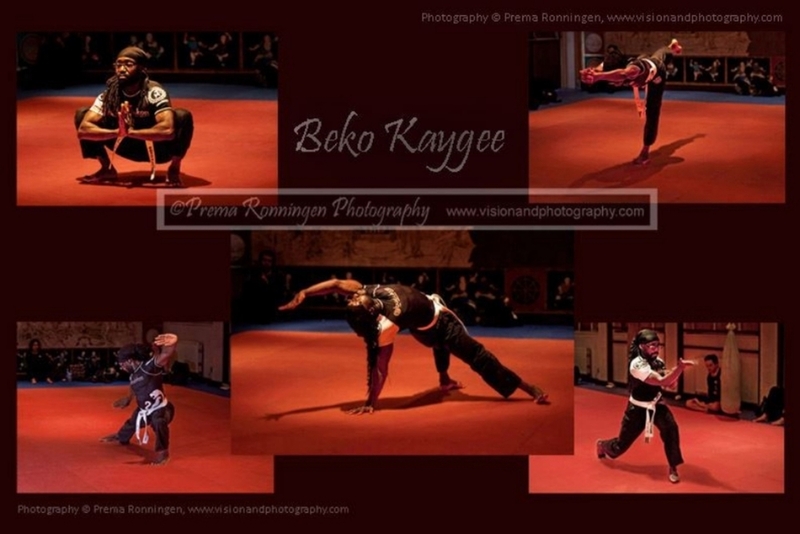 Sensei Beko is the director for Budokon® Yogic Arts, Martial Arts, Mixed Movement Arts and Living Arts Programmes in the UK. A Reebok Sponsored International Fitness Presenter and Master Trainer, Beko Kaygee has been promoting exercise, health and well-being for over 25 years. His programmes cover a wide range of activities including Dance, Martial Arts & Holistic Health Methods and emphasise making all exercise Fun, Safe and Accessible to anyone. Director of ‘F3 Fitness’, Chief Instructor at ‘F3 Tai Chi & Chi Kung Academy’ and founder of ‘F3 Yoga School’. 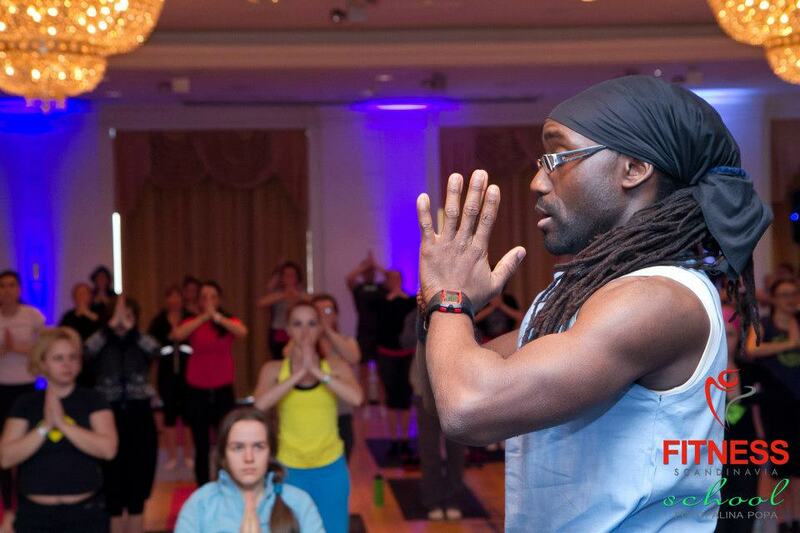 Beko is also the creator of various Exercise & Movement programmes - including; Yoga Vibes™, Capoeira Fitness (UK), Tribal Yoga, Bollywood Groove, Dynamic Chi Yoga, Tribal Jam, ‘Bend it With Beko’ and ‘Blade’ - the movie inspired sword workout. A course Tutor and Assessor for 15+ years, Beko has worked for several of the major UK Fitness Industry Training Providers including Redmays Fitness, Drummond Education and YMCAfit™. As well as both writing for, and appearing in, a multitude of mainstream fitness magazines, Beko has also featured in Fitness Instructional DVDs and online tutorials for Fitpro™, Jumpy Bumpy™, The Fitness Industry Group and Gymcube™.Beko has a healthy appetite for learning and his quest for knowledge has led him to travel and study in Ghana, India, China, Thailand, America, Spain, Germany, France, Switzerland, Scotland, Ireland and across England. To compliment his Martial Arts Training, Beko began practising Yoga in 1992 and by 1996 he was an assistant teacher/apprentice. Finally attaining his first yoga teachers certificate in 1999. Since then Beko has continued his studies and practise and now teaches Ashtanga Yoga, Hatha Yoga, Antenatal Yoga, Post Natal Yoga, Restorative Yoga, Tribal Yoga, Classical Yoga (Sivananda), Dynamic Chi Flow Yoga, Power Yoga, ChiBall® Yoga, Partner Yoga, Aerial Yoga, Vinyasa Flow Yoga, Chakra Yoga, Yogic Dance, Yoga Conditioning and of course... Budokon® Yoga. The Martial 'addiction' began at an early age for Beko, attending a Judo summer course as a child. This passion continued on through teenage years and into adulthood, further fuelled like so many by the Bruce Lee films and the genre of late night Kungfu movies from production companies such as Golden Harvest and Shaw Brothers! Aside from teaching and running women's self defence courses for local councils, the training also led to another career, working for over 10 years as a night club door supervisor or "bouncer" as they were called then. He also went on to train in "close protection" and is certified with the International Bodyguard Union (IBU). Sensei Beko's Martial Arts background includes; Five Ancestors Kungfu, Shotokan Karate, Nam Yang Kungfu (Southern Shaolin), Renshinkai Karate, I-Chi Chun Kungfu (18 golden classics), Taekwondo, Wu Shu Kwan, Kateda, Kickboxing, Capoeira, Tai Chi Chuan and of course... Budokon®.